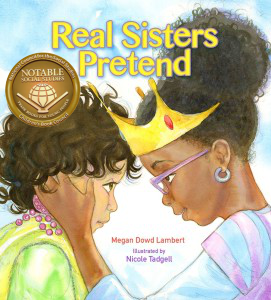 Home→My books→Real Sisters Pretend is a Must Read! Read more about the Massachusetts Book Awards here, including guidelines for submitting titles for the 18th annual awards. And finally, I want to give a quick shout-out to my critique group member and new friend, Lisa Papdemetriou, who was the first person to tell me my book was included on this year’s list. It’s good to have writer friends looking out for me!